Crystar’s trailers portray it as an emotional dark fantasy with fluid action gameplay and unique tear-based mechanics and after playing its first chapter, I’d say that’s pretty accurate. Its swift action gameplay makes running through its maze-like fields a satisfying experience and its mix of animation styles and storytelling ways the story explores make the story feel deeper than its already interesting premise. While I only saw the first chapter of Rei’s story, I still feel one thing for sure: Crystar still has the potential to be an interesting dark, story-based JRPG thanks to its gameplay and ideas so far and with good voice acting and visuals that bring everything to life in its first hours, Crystar is still a JRPG I want to see more of. 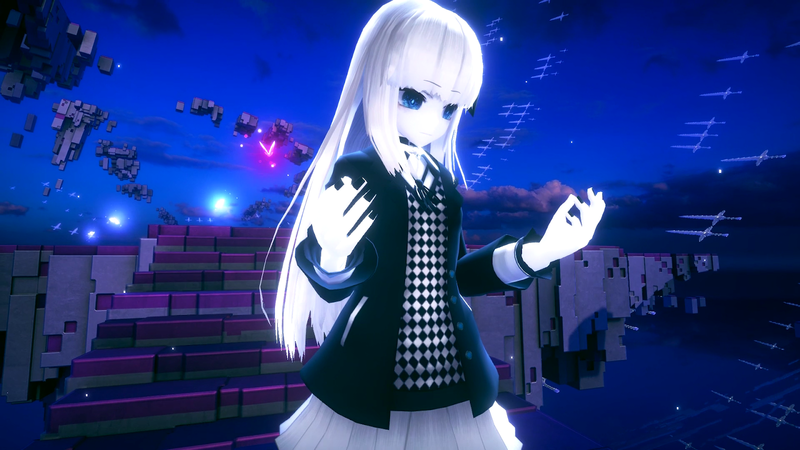 Crystar’s story begins with Rei, a young girl who awakens in a dark mysterious world, which is strange since she generally doesn’t leave her room at all and has no recollection of how she got there. In this world she finds her sister Mirai and they set off to find a way out but are quickly subject to a tragic turn of events. After being attacked by a few monsters, Rei discovers she can use special powers, but since these powers are new to her, she doesn’t have full control over them. As she fights to save her sister, after the battle she goes to grab her sister’s hand and ends up accidentally killing Mirai instead, leaving her shocked and distraught in this strange world. 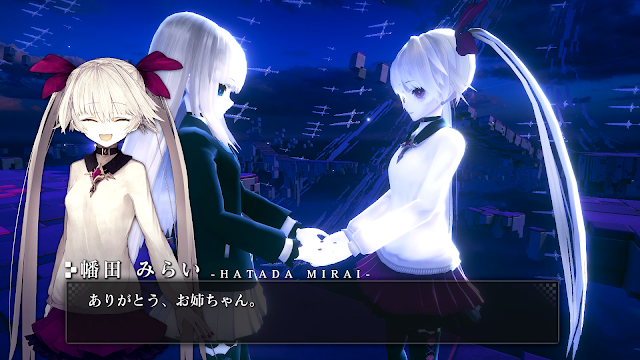 As her tears over her sister’s sudden death create a star-like item called an Idea, she’s quickly noticed by the Reapers Mephis and Pheles and they offer her a contract: help them collect Ideas under their contract and they’ll help her save Mirai before she reaches the bottom of limbo and things are too late. Rei agrees without hesitation and her journey of reaping souls with the purpose of saving Mirai begins, with lots of hardship and trials no doubt in front of her in her journey, including dealing with the fact that the spirits she’s killing were once real people and trying to understand the Reapers’ goal. The first chapter I played through is very much just the tip of the iceberg of Crystar’s story and with the brief introduction to the energetic character Kokoro and wanting to hear both hers and Rei’s story in more detail, I’m still left curious as to where this slowly unfolding story will go, but I enjoyed seeing the premise I was so interested in learning about play out so far. Many of the Reaper’s orders Rei must follow involve running across its maps and fighting the spirits inhabiting the mysterious world, which is done using Crystar’s active battle mechanics. Rei fights with a sword and can hack and slash enemies swiftly to open up areas and enemies so far have provided a mix of close and long range attacks that have kept me on my toes on occasion. In saying that, I haven’t had any battles that have truly challenged me yet thanks to the cool special summon attack that tends to overkill most things in its path and enemies being pretty small in its first chapter, but I like the fast-paced feeling of battles thus far. Adding a little strategy to the battles is the tear-shaped gauge where Rei can cry while on the field to prepare her summon and I liked how this gave a certain strategy to some battles as it meant choosing between using my regular and SP attacks to win or finding areas where I could cry safety in the more risky strategy of using my summon instead. Character wise, I’ve only tried Rei and I know there are at least three other characters to try, so with this crying mechanic and how quick it feels to play with Rei, I wonder if I’ll like playing with them too and if things will get more challenging. As for the dungeons themselves, the ones I experienced were nice to look at with the houses scattered throughout a purple mysterious world with many paths. I was initially surprised at how big these areas were with their multiple floors and long twisting paths broken up with enemies to fight, with treasure here and there to keep things interesting. In saying that, while it’s neither good or bad, things have seemed pretty linear compared to other JRPGs I’ve played recently. Aside from a merchant, there aren’t really any characters or quests I found on the map outside the main story, with the only extra thing on the map being enemies to find that hold last words to help you level up and even then you’re limited to only hold ten, so there’s not much else to do rather than heading to the story goal. I don’t mind a linear experience though and it makes a lot of sense in Crystar when you consider the plot. 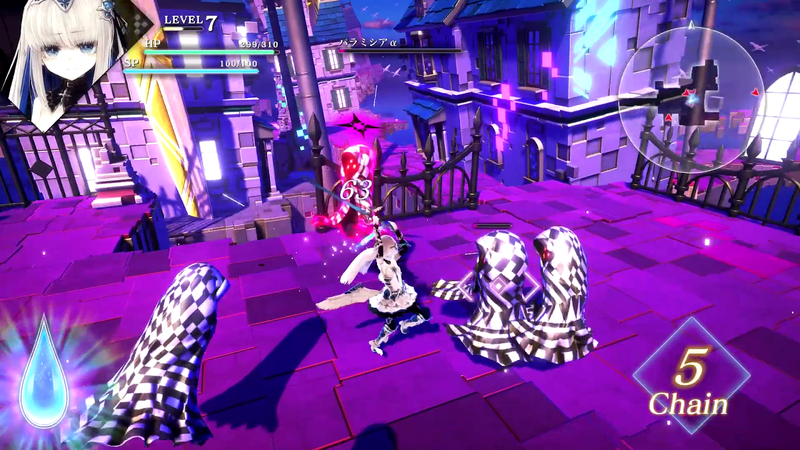 While a lot of games throw time restraints to the wind in favour of creating a content rich world, the story revolves around Rei’s limited amount of time before her sister reaches limbo and she’s very set on saving her, so it wouldn’t make sense if she was running around and doing random things on the map on the way. Since I enjoy the combat its maps have given me, this linearity hasn’t been as issue for me, but it is worth keeping in mind if you like gameplay and story in equal amounts. Rei thankfully doesn’t spend all her time in the limbo world, even if the time spent in her room outside of it is mostly focused on preparing to go back. 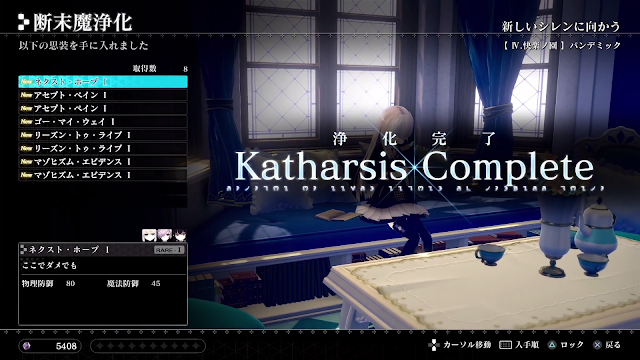 One of the main mechanics Rei can perform in her room is Katharsis, a mechanic where she cries out the thoughts of spirits last words and they become a kind of thought fragment that she can equip to get a stat boost in battle, seemingly with the cool idea of turning her tears and sad thoughts into strength. This system goes a little deeper than I expected too, with other mechanics such as Metaonia and Harmonia letting you combine thoughts and unlock abilities within them to allow Rei to become even stronger and these together act as a unique crafting system that incorporates Crystar’s themes well. There are a few other things you can do in Rei’s room that add depth to the game as well. There are the Memoirs of the Dead stories from monsters you collect last words from to read and collect which tell dark and sad three-part stories of some of these spirits, with themes such as abandonment or work stress definitely adding meaning to some of those last words enemies shout when fighting. There’s also Rei’s journal that summarises the game’s story in her own words, music tracks to listen to that unlock as they’re discovered in the game and her adorable dog Thelma to pet that really give us a good idea of Rei’s personality. Rei’s room is mostly intended as a preparation room for the next trip into the Limbo world, but I liked how little things like Memoirs of the Dead and her journal were little story elements to check out while there and things like the Memoirs in particular are things I can see myself going out of my way to collect for when I come back before each dungeon. While I’ve only played the first chapter of Crystar, it served its purpose of showing me that with its fast battles, story themes and extra story hidden within enemies that this is still a game I want to play. Seeing the details of the beginning of Rei’s journey has me intrigued, along with the brief introduction of new characters and while I didn’t get to know them properly, I’m already curious to see how they play and control too. So far, Crystar seems like a fast-paced and story-focused action JRPG with unique systems and emotional conflict in its story that I want to see grow and I wanna see if Rei will ever find resolution in her struggle. While I’ll be putting down for now, it’s only with the continuing hope and desire to avoid more spoilers in case we get an English announcement and I hope we do because its sad story and journey is something I want to see in full someday. You can pick up Crystar (in Japanese) from Playasia! Are you interested in Crystar? Do you want it to be localised?